Yola now provides you with a range of step-by-step website enhancement tutorials that are easy to understand. They will not only help you to efficiently build your own free website, but will also show you how to optimise it for search engines and carry advertising using Google’s Adsense. Three of the most effective tools available are Google Webmaster (to help manage Google’s indexing of your website), search engine optimisation (SEO) and Google Adsense (adding advertising to your website as a revenue stream).Yola’s in-depth tutorials for these tools give you clear and simple instructions on how to implement and get the most out of them. They contain step-by-step instructions, illustrative screenshots from the actual tools and FAQs covering additional issues that users typically encounter.With these guides Yola has added an extra dimension to its www.yola.com free website building tools – Yola now also gives you what you need to get your website ahead. KONOKER Jobs, a job advertisement and job search tool built on Facebook Platform, was launched by 1902 Software Development Corporation on March 19, 2009. Using the KONOKER Jobs application, Facebook users can advertise regular and freelance jobs for free, apply for postings and share them with friends, thus unleashing the power of the Facebook social graph.The application is very easy to use, both for advertisers and jobseekers alike. Job advertisers can post an unlimited number of job ads in KONOKER Jobs without spending a single penny. On the jobseeker’s part, all that has to be done to apply for a job is to click a button. One practical highlight of KONOKER Jobs is its location-specific job searching feature, which makes it very easy for jobseekers to find job openings in their locality or geographic region. KONOKER Jobs was developed by 1902 Software Development Corporation, a Danish-managed software outsourcing company based in Manila, Philippines. 1902 Software Development Corporation specializes on web applications based on .Net and PHP technology. The company has been in the software development industry for over ten years now since it inception in 1998. To know more about 1902 Software Development Corporation, visit http://www.1902software.com. Today we are living in web 2.0 times more than ever before. PR, press coverage, buzz, evangelism, lobbying, who knows who, who blogs who, who talks about who, mainstream media and beyond – all of those words found in the dictionary of almost every new web site that coins itself as web 2.0, but as the global economy crisis is raising upon us promising to leave us working in a very depressed business environment with little to no liquidation events at all for the next years the real question is: who the real winners in today’s web 2.0 space are based on real people using their web properties since 2005 the web 2.0 term was coined for first time. Since then we have witnessed hundreds of millions of US dollars poured into different web 2.0 sites, applications and technologies and perhaps now is the time to find out which of those web sites have worked things out. We took the time necessary to discover today’s most popular web 2.0 sites based on real traffic and site usage and Not on buzz or size of funding. Sites are ranked based on the estimated traffic figures. After spending years in assessing web 2.0 sites applying tens of different from economical and technological to media criteria in an effort to evaluate them we came up to the conclusion that there is only one criterion worth our attention and it is the real people that use a given site, the traffic, the site usage, etc., based on which the web site can successfully be monetized. Of course, there are a few exceptions from the general rule like sites with extremely valuable technologies and no traffic at all, but as we said, they are exceptions. Ad networks, web networks, hosted networks and group of sites that use consolidated traffic numbers as their own or such ones that rely on the traffic of other sites to boost their own figures (ex. : various ad networks, Quantcast, WordPress etc.) are not taken into consideration and the sites from within those respective networks and groups have been ranked separately. International traffic is of course taken into consideration. Add ons, social network apps and widgets usage is not taken into consideration. Sub-domains as well as international TLDs part of the principal business of the main domain/web site are included. Media sites including such covering the web 2.0 space have also been included. Old buys from the dot com era are not considered and ranked accordingly. Disclaimer: some data based on which the sites below are ranked may not be complete or correct due to lack of public data available for the traffic of respective sites. Please also note that the data taken into consideration for the ranking may have meanwhile changed and might possibly be no longer the same at the time you are reading the list. Data has been gathered during the months of July, August, September and December 2008. Today’s most popular Web 2.0 sites based on the traffic they get as measured during the months of July, August and September 2008. Priority is given to direct traffic measurement methods wherever applicable. Panel data as well as toolbar traffic figures are not taken into cosndieration. Traffic details as taken from Quantcast, Google Analytics*, Nielsen Site Audit, Nielsen NetRatings, comScore Media Metrix, internal server log files*, Compete and Alexa. Press release, public relation and buzz traffic and usage figures as they have appeared in the mainstream and specialized media are given with lower priority unless supported by direct traffic measurement methods. Web 2.0 sites having less than 1M unique visitors per month even though popular in one way or another are not subject of this list and are not taken into consideration. We know for at least 100 other considered really good web 2.0 sites, apps and technologies of today, but since they are getting less than 1M uniuqes per month they were not able to make our list. However, sites being almost there (850K-950K/mo) and believed to be in position to reach the 1M monthly mark in the next months are also included at the bottom of the list. Those sites are marked with “<“, which means close to 1M, but not yet there. No hard feelings :). If we’ve omitted one site or another that you know is getting at least 1M uniques per month and you are not seeing it above, drop us a note at info[at]web2innovations.com and we’ll have it included. Please note that the site proposed should be having steady traffic for at least 3 months prior submission to the list above. Sites like, for example: Powerset and Cuil, may not qualify for inclusion due to their temporary traffic leaps caused by buzz they have gotten, a criterion we try to offset. For other corrections and omissions please write at same email address. Requests for corrections of the traffic figures the sites are ranked on can only be justified by providing us with the accurate traffic numbers from reliable direct measurement sources (Quantified at Quantcast, Google Analytics, Nielsen Site Audit, Nielsen NetRatings, comScore Media Metrix, internal server log files, other third party traffic measurement services that use the direct method. No panel data, no Alexa, no Compete etc. will be taken into consideration). * Note that ranks given to sites at w2i reflect only our own vision for and understanding of the site usage, traffic and unique visitors of the sites being ranked and does not necessarily involve other industry experts’, professionals’, journalists’ and bloggers’ opinions. You acknowledge that any ranking available on web2innovations.com (The Site) is for informational purposes only and should not be construed as investment advice or a recommendation that you, or anyone you advise, should buy, acquire or invest in any of the companies being analyzed and ranked on the Site, or undertake any investment strategy, based on rankings seen on the Site. Moreover, if a company is described or mentioned in our Site, you acknowledge that such description or mention does not constitute a recommendation by web2innovations.com that you engage or otherwise use such web site. Launched back in the middle of 2006 LinkedWords has essentially proven over the past years to be very effective vehicle in helping web sites get contextually linked on a content area level so that Internet users and smart robots discover their information in context. Since then the contextual platform has rapidly grown from 30,000 uniques per month back in its early days during 2006 to over 1 million unique visitors per month these past months of 2008. The successful formula seems to be simple yet very effective: the higher the number of small to mid level sites’ content areas contextually linked in LW’s platform – the higher the number of contextually targeted unique visitors shared among those web sites linked in. Both Google Analytics and Quantcast measured traffic are now reporting for over 1,000,000 unique visitors per month. This year (2008) was however not all glorious for LinkedWords. During the month of April ’08 their platform has experienced an unprecedented growth in the traffic reaching over 1.3M unique visitors, which resulted in a failure on one of the servers in their cluster causing major downtime. The impacted period was from Friday, April 25 to Friday, May 16, 2008. Millions of unique visitors to LW were said to have been affected. It took them more than 4 months to completely recover both their platform and their reach. Despite the major downtime that took place during the entire month of May ’08 and had later affected the traffic for a period of several months starting from May and ending on August ’08 considerably slowing it down the anticipated consolidated traffic for the entire 2008 is expected to be in the 10M range, which is double increase from 2007. LinkedWords (LW) is an innovative contextual platform built upon millions of English words and phrases organized into contextual categories, paths, and semantic URLs whose mission is to maximize contextual linking among web sites across the Web. New website allows students to publish, protect, share, and earn from their High School and College papers. Students spend countless hours researching and writing, it has always been done for education and a degree. Now that effort is being turned in to spending money. The launch of a new Student community website allows students to publish their papers, while maintaining full ownership of their work. Until now, students wrote a paper or essay, turned it in for grading, it sat on their computer hard drive until that hard drive crashed. Students would say “Well, it stinks, but I got the grade, and I graduated”. Now students can archive their work, share it with other students, and earn some serious gas money. The writing that High School and College students do can now act as an annuity that pays them for life. “The work students do is more than busy work, it’s valuable research that can be used by students and teachers alike year after year” says Co-Founder of PayPerz.com, Richard Wohl. “Our student community allows students to archive their work, not only is the service free, but they get paid a share of the advertising revenue generated by their work”. Modeled after some very successful self-publishing websites, PayPerz.com is specifically geared to College and High School Students. “Covering hundreds of subjects and growing daily, our indexed and searchable database is written to make the most of search engine technology, as more students participate in PayPerz.com, the amount of information will give our website an incredible amount of unpublished, unique content.” One technology advantage over other similar sites, PayPerz.com allows users to upload directly from a Word Documents, no retyping needed. Although an advances text editor is available to edit or add to existing documents. PayPerz.com also allows students to add unlimited pictures and video to their research. The site still in beta testing is open to all High School and College students in the United States. PayPerz.com protects students from being plagiarized by quickly indexing their work, this allows the tools currently in use by Universities around the country to ensure content turned in is unique. Currently PayPerz.com is working with cost-per-action advertisers in order to protect it’s partners from click fraud. PayPerz.com and it’s student publishers only get paid when a click leads to an action. This helps PayPerz to ensure it keeps its advertisers happy, it discourages community members from clicking for the sake of clicking. The real value of the site is in the un-indexed research and information it will provide. Once out of Beta, PayPerz.com will be paying it’s top student publisher a $5000 cash prize, now that’s some serious college spending money. MediaBids.com, the Newspaper and Magazine Advertising Marketplace, announced today that its revolutionary response-based print advertising program continues to grow by offering a non-conventional revenue source to newspapers and magazines during these difficult times for the print industry. Mediabids’ Per-Inquiry Advertising program provides newspapers and magazines with a unique way to acquire print advertising revenue from new, national, direct-response advertisers who have traditionally devoted most of their budgets to online advertising. Since 2003, MediaBids has been working to make buying and selling print advertising easier. Its website, www.mediabids.com, has provided a unique marketplace for publications and advertisers to interact, using online tools to buy and sell print advertising space. As a result of growing demand by advertisers for a print advertising system that combines an easier way to place ads with a results-driven payment structure, MediaBids developed its Per-Inquiry Print Advertising Program . MediaBids delivers creative to the publication for the requested advertiser – each ad has a response-tracking mechanism in place and publications are provided with reporting information. Currently, MediaBids has over 1,300 publications nationwide placing advertisements on a per-response basis. “I have been extremely pleased with the Per-Inquiry ad program offered by MediaBids . It’s a fantastic way to create advertising revenue, as well as give our newspaper a continuing stream of new advertisers that come from efforts outside the traditional methods we use,” says Dave Gwiazdon, Associate Publisher, The Sacramento Union . “We’ve worked with thousands of print advertisers over the years who have echoed the same sentiment – it’s not the medium, it’s the method. Our advertisers love print advertising, some just don’t love the conventional way of buying. That’s where we hope our Per-Inquiry Advertising Program will come in – providing advertisers with a program that pairs tracking capabilities and a results-based payment structure with a medium that can deliver a unique level of response, branding and engagement,” says Jedd Gould, President, MediaBids.com . The company claims it has over 4,600 U.S. print publications registered on MediaBids to use their online processes to sell ad space in their print editions. Publications can sell ad space via two primary online methods – a straight-sales option and a reverse advertising auction. In the straight-sale format, publications can simply post available advertising inventory for sale in the MediaBids marketplace which is then immediately available for advertisers to purchase. The patented reverse-auction method allows advertisers to place their advertising dollars up for bid using a simple online RFP auction form, and publications can then bid using their ad space as currency. The company is known to have started back in 2003 and for just 5 years they have enrolled an impressive number of newspapers and paper magazines. The company says it has over 12,000 businesses registered on MediaBids.com that purchase advertising. The online ad networks and ad exchanges are huge business but the space is lately becoming overcrowded and the competition is fierce there and perhaps we will witness some serious reorganization and consolidation within the industry the next few years. This story has been picked up from EPR Network. A couple of weeks ago we realized the shopping pattern of Live Universe is to buy failed, but over funded, start ups on the cheap and the deal we read about a few days ago makes no exception. Just over a few week ago the founders of and five engineers from VoIP services provider Jangl left for Jajah after the company failed to find a proper buyer. Following their departure, it was unclear what would happen to Jangl’s assets and remaining staff. Wonder no longer – Live Universe is here to help. As you may guess they bought the failed company, perhaps on the cheap too. We tried to find out what the acquisition price is, but since we found nothing neither reliable enough nor even rumors around the blogosphere about the exact price, we do assume the price tag is not much different from what the other failed start-up enjoyed in their deals with Live Universe. Call it $1M and you might be closer to the truth than you may expect. Well not bad, except the fact that Jangl has raised $9M to date from a number of perhaps unhappy investors today. Among others Jangl’s investors include Storm Ventures, Labrador Ventures, Cardinal Venture Capital, Alex Mendez, Stuart Davidson and Chris Hadsell. Based on a number of posts across the blogosphere we learn that problems of the company have likely started the late last fall. By that time Jangl’s board began telling the founders to pursue an acquisition strategy or raise more money despite the company had closed deals with several partners, including Plentyoffish and Tagged. Despite the rumors that many companies have taken a look into the Jangl, it is clear that no deal has emerged from those interests. Jangl allows consumers to exchange text messages, phone calls and voicemail without sharing their real numbers. Jangl customers can send/receive SMS messages from their mobile device or their Jangl account online, have voice messages sent directly to their email or profile inbox as MP3 files, and block contact from someone at any time, among other capabilities. Jangl provides its services to users of Facebook (JanglMe application), Bebo, Plentyoffish.com, Match.com, Friendster, Tagged, FriendFinder, Fubar, and more, and also offers its services at Jangl.com. In late 2007, Jangl began testing a variety of ad placements in phone calls and SMS messages. One of its most recently partners – dating site Plentyoffish.com – will be a free service supported entirely by advertising. This advertising revenue stream will be Jangl’s second, as the company has already been generating partner revenue since January 2007. Other companies bought on the cheap by Live Universe include Pageflakes (funding $4.1- sold out for what is known to be in the $1M range). Revver ‘s total funding is known to be in the $12.7M range coming from Comcast, Turner, Draper Fisher Jurvetson, Bessemer Venture Partners, Draper Richards and William Randolph Hearst III – sold also out for anything between $1M and $2M. MeeVee itself has also taken a whopping amount of money from the venture capitalists — $25M over the past years, we bet on it has also been sold out for anything in the $1M / $2M range. From the 3 companies above, MeeVee seemed by that time to have traffic, at least. Today’s deal is for yet another company that has taken $9M and has perhaps gone for nothing more than $1M. A simple math that we started out a couple of weeks ago revealed that Live Universe has bought $42M worth in distressed assets for $3M in total and if we include the deal from today it turns out that the buyer has acquired web properties that have taken over $51M to develop for $4M in all. The buying company LiveUniverse is probably most popular with the fact it has been founded by one of the founders of MySpace – Brad Greenspan. With over 55M monthly unique visitors, LiveUniverse is one of the world’s largest online entertainment networks. They operate several successful and popular websites across three core verticals: Video, Social Networking & Music. LiveVideo is one of their sites, which about a year ago instigated a scandal on YouTube when it reportedly paid top YouTube users to come to its platform. LiveUniverse founder Brad Greenspan, who was involved with MySpace early on, is perhaps best known for his lawsuits protesting the company’s sale to News Corp.
Competitors/similar companies include: SayNow, Jajah, Jaxtr, Dial Plus, GrandCentral and TringMe. The global market for Mobile Web 2.0 will be worth $22.4bn in 2013, up from $5.5bn currently, according to a new report by Juniper Research. Embracing social networking & User Generated Content (UGC), mobile search and mobile IM (Instant Messaging), Mobile Web 2.0 provides a framework for delivery of collaborative applications, further enhanced and contextualized via LBS (Location Based Services). In its latest report – ‘Mobile Web 2.0: Leveraging ‘Location, IM, Social Web & Search’ – Juniper examines how a fundamental shift in Internet usage patterns is shaping Mobile Web development, driving subscriber adoption and forcing structural changes within the industry. At the core of this evolution is the user as a creator and consumer of content (i.e. the prosumer), and the ‘social web’ – which describes a wide variety of social computing tools enabling users to develop detailed Web identities, create online communities and communicate with like-minded individuals. Far East & China, Western Europe and North America dominate the global market for Mobile Web 2.0, but will be surpassed by the developing regions over the forecast period. Despite the new opportunities for players across the value chain, Mobile Web 2.0 creates fresh challenges over and above those typically associated with mobilising Internet applications. MNOs must adjust to advertising-sponsored strategies and accommodate partnerships with Web-based players, while device manufacturers and technology vendors must somehow find the means to stitch together what is at present, a highly-fragmented market. Any player in Social Web is also subject to regulatory measures concerning privacy and data retention. Juniper Research assesses the current and future status of the Mobile Web 2.0 market based on interviews, case studies and analysis from representatives of some of the organisations leading this growing market. Juniper Research is a telecoms analyst firm specialising in the mobile and wireless sector with particular emphasis on business models, applications, content and device strategies. Juniper is headquartered in the UK and has been operational for five years. Juniper Research provides market expertise and advice to organisations operating across the telecoms and related sectors. We publish regular off-the-shelf research reports and provide business modelling, market sizing, forecasting and competitive analysis to consultancy clients across the world. Facebook keeps on growing so does its expenditures. The latest news from the company is that they have raised yet another $100M round of funding. The company says this time all the money will go for buying servers, lots of servers. BusinessWeek has estimated they are going to scale things up with 50,000 new servers on top of their 10,000 they are currently running on. Total amount of money raised by Facebook is now $493M (we did the math and it seems $438M in total, but other more reliable sources claim it is $493M) according to several sources. This time, however, the founding is not against equity, but is a venture lending deal with TriplePoint Capital, a Menlo Park, Calif. based company that specializes in lending money to startups. Facebook already claims 109M monthly unique visitors and many people say the site is at times very slow. Forrester Research’s Gillett estimates that Google is buying half a million servers each year, while Microsoft’s annual consumption is as much as 200,000 servers. Executives at Facebook declined to say which vendors will provide the servers. But the social network is already a big customer of Rackable Systems, which said in a recent financial statement that it derived $11.5 million, or 17% of $68 million in first-quarter revenue, from Facebook. This puts the total server expenditures of Facebook at $46M per year. With the new round this amount will significantly increase. The latest comScore metrics, we have seen, revealed that Facebook is actually havingo ver 100M unique visitors per month. Peter Thiel, cofounder of PayPal and managing partner of the Founders Fund was the first angel investor in the company. He invested $500,000 into Facebook in early 2004. Later Accel Partners poured $12.7 million more in funding, at a valuation in the $100 million range. The next year , Facebook received $25 million in funding from Greylock Partners and Meritech Capital, as well as returning investors Accel Partners and Peter Thiel. The pre-money valuation for this deal was in the $525 million range. Facebook is reported to have turned deals down from Friendster, Yahoo, Viacom and the mighty Google a few months ago when Zuckerberg has chosen Microsoft to partner with. Microsoft de-facto has invested $240 million into Facebook for just 1.6 percent of the company in October 2007. This put the company’s valuation at over $15 billion on just $150 million in annual revenues. It appears that the buyer’s profile of Live Universe is to buy web 2.0 companies in trouble on the cheap, yet preferably over funded, with some traffic and good technology, if possible. After they have bought video site Revver (also relatively cheap, price perhaps was in the $1M range) in February 2008, they have also fetched up Pageflakes just the last month for what is believed to be yet another 1M dollar deal. Yesterday we have read over Web that Live Universe has this time bought yet another start-up falling into the same profile (over funded, failed and looking for a fire sale) MeeVee. They have put themselves up for sale via press release the last month. MeeVee is all about personalized TV guides and the company was said is having over 1.1 million organic unique users in March up from 480,000 in August 2007. The Company uses its editorial voice and proprietary technology to scour a curated list of thousands of sources to connect consumers with customized video, blog and TV programming content that matches their interests. The Company has significant issued IP, community, media relationships, a TV listings personalization engine, streaming TV directory and a compelling product roadmap. The Company has 7 full time employees, all in product and engineering. Let’s look into the Live Universe’s shopping pattern. Total funding for Pageflakes was $4.1M – sold out for what is known to be in the $1M range. Total funding for Revver is known to be in the $12.7M range coming from Comcast, Turner, Draper Fisher Jurvetson, Bessemer Venture Partners, Draper Richards and William Randolph Hearst III – sold also out for anything between $1M and $2M. MeeVee itself has also taken a whopping amount of money from the venture capitalists — $25M over the past years, we bet on it has also been sold out for anything in the $1M / $2M range. From the 3 companies above, MeeVee seems to have traffic, at least. It is an interesting strategy to buy companies and spur growth, but we guess it is better you buy growing start-ups rather than falling stars that have spent enormous amount of capital yet did not work things out. It is yet to be seen if this strategy is going to be successful on the long term run for Live Universe. Let’s put it that way – a company that has raised $25M and did not manage to work things out is less likely to make it with less money. On the other hand buying distressed assets is something proven by the time. From Live Universe’s perspective it seems clever move that they have bought web assets that needed more than $42M to develop for $3M or something. As web 2.0 moves towards its peak and then its end (the same as what happened with the dot com boom) there would be lots of over funded and over hyped, but failed start-ups for sale on the table for Live Universe to choose from and buy cheaply. So to conclude if your company has taken enormous amount of money, but has definitely failed to work things out and is looking for some liquidation of its assets Live Universe might be your choice to consider. Additionally in 2006, Greenspan also initiated a lawsuit and activism site against his former company, MySpace, calling attention to the fact they were censoring widget makers and software service providers using MySpace as a development platform. The rumors across the valley are that LinkedIn is out trying to raise a new round at $1B pre-money valuation. They are using the service of the New York based secretive investment bank Allen & Co. where the Managing Director Dave Wehner seems to be engaged with the effort to help LinkedIn secure its next round of funding. There were clearly rumors over the past months that LinkedIn was looking for potential sell out as one of the rumored suitors was News Corp., but as it often happens nowadays after you fail to sell out you are raising a new round instead at preferably huge pre-money valuation to keep your company alive until IPO and M&A markets improve. Similar deals were done by many web 2.0 start-ups from the valley and among others are Slide, Ning, Federated Media and most recently Meebo. If those rumors turn out to be accurate it will be one of the most expensive private venture deals in recent history. So far LinkedIn is said to have taken $27.5M in total over three rounds. They have also claimed publicly they will reach anything between $70M and $100 million in revenue in 2008. Yet if this is true that they need new round before their exit it means they are barely profitable. The latest numbers from LinkedIn are as follows: over 20M registered users worldwide, more than 1M new users get registered on their social networking site each month and the average user is said to be 41 years old making around $110,000, which the company says allows it to charge advertisers $75 per thousand impressions. However, both Quantcast and Compete do report for no more than 4 up to 5M uniques per month to their site. This past January, cofounder and board chairman Reid Hoffman told the Sydney Morning Herald that the company will most likely file for an IPO before 2010 if “he isn’t first tempted to sell to one of the suitors that have inquired about buying LinkedIn. Hoffman wouldn’t identify the suitors.” This simply sounds like invitation for the suitors to sweeten their offers. LinkedIn is an online network of more than 20 million experienced professionals from around the world, representing 150 industries. When you join, you create a profile that summarizes your professional accomplishments. Your profile helps you find and be found by former colleagues, clients, and partners. You can add more connections by inviting trusted contacts to join LinkedIn and connect to you. Your network consists of your connections, your connections’ connections, and the people they know, linking you to thousands of qualified professionals. LinkedIn is free to join. We also offer paid accounts that give you more tools for finding and reaching the right people, whether or not they are in your network. LinkedIn participates in the EU Safe Harbor Privacy Framework and is certified to meet the strict privacy guidelines of the European Union. All relationships on LinkedIn are mutually confirmed, and no one appears in the LinkedIn Network without knowledge and explicit consent. LinkedIn is located in Mountain View, California and is funded by world-class investors including Sequoia Capital, Greylock, the European Founders Fund, and Bessemer Venture Partners. Investment bank Allen & Company has been involved in a number of high profile mergers and acquisitions in the past. Interesting for the Allen & Company is the privacy the investment firm seems to be working in as argument for which is the absence of even a basic site for the company on Web. Perhaps they don’t like publicity. Yet, we have found the firm’s contact details, which can be found among the other links on the end of the story’s page. For Allen & Company, there’s no business like financing show business. The investment bank serves variously as investor, underwriter, and broker to some of the biggest names in entertainment, technology, and information. Viewed as something of a secret society, the firm has had a quiet hand in such hookups as Seagram (now part of Vivendi) and Universal Studios, Hasbro and Galoob Toys, and Disney and Capital Cities/ABC. The firm’s famous annual retreat in Sun Valley, Idaho, attracts more moguls than a double-black ski run (Warren Buffet, Bill Gates, and eBay CEO Meg Whitman have attended). Brothers Herbert and Charles Allen founded the company in 1922. The rumors were lately that Meebo failed to sell and that’s why it went into this new round of funding instead and not at the initial $250M pre-money valuation they were hoping for but at $175 – $200M (as it seems $200M). Some sources claim that companies like Fox/MySpace and AOL have taken a long look at the company, but ultimately passed based on the price. A couple of days ago it went official that Meebo has taken a $25 million third round of financing from Jafco Ventures, Time Warner Investments and KTB Ventures. Previous investors Draper Fisher Jurvetson and Sequoia Capital are said to have also participated. With this round Meebo’s only exit might be the IPO road, which for a company with little to no revenues is not that easy to accomplish. If the new investors are looking for 2x or 3x their money at the exit it would be hard for Meebo to sell itself out for anything less than $500M or go for an IPO, which for a company with little to no revenues is kind of unbelievable for us to happen. Meebo is a popular and rapidly growing web based instant messaging start up that was backed up by Sequoia Capital and is said to have roughly 4.6M unique visitors per month according to comScore’s publicly available stats. That’s valuing each of their visitors at the $54 mark, which is significantly more than what AOL has just recently paid for each of Bebo’s 22M visitors – $39 according our simple math. Many industry experts, commentators and bloggers have expressed their negative feelings about the potential deal and more concrete about its pre-money valuation. Anyone remember Slide and their pre-money valuation of $500M? Yet it was said then they had over 150M or so users worldwide, which, if true, valued their users at the $3 range. There is however something most of the technology blogs seem to have overlooked. Joshua Beil from Level 3 Communications has commented on one of the tech blogs that Meebo’s per user valuation could change quite substantially if one takes into account their unique visitors of the MeeboMe rooms widget. I’ve seen, he says, numbers in the 10-14M range and counting for just this application. Factor this in to the 4.6M uniques to Meebo.com and it’s at a discount to Bebo. We have no idea where he does take his numbers and what his affiliation with the company is, but if we take those numbers for real the $250M valuation does not sound ridicules anymore. In addition to that Venturebeat reports that Meebo has attracted 29 million monthly unique users worldwide, but they also say that some investors remain quite skeptical about Meebo and their business model. We have no clear idea where Venturebeat has come to that number of visitors. Meebo launched in September 2005 and received funding from Sequoia Capital in December 2005 and Draper Fisher Jurvetson in January 2007. Today, Meebo’s users exchange over 100 million instant messages daily.In early 2007, Meebo gets another $9 million from Draper Fisher Jurvetson and Sequoia Capital. Skype’s lead investor and YouTube’s lead investor are teaming up. Tim Draper, one of the early investors in Skype, did the deal for DFJ. Meebo’s total funding is now $37.5 million. Microsoft – Yahoo saga seems to be over! Well, after 3 months of negotiations, speculations and rumors the saga between Microsoft and Yahoo seems to be over, for now. Microsoft has formally withdrawn their offer to buy Yahoo while the second publicly declared a victory for the Web at all. While there are clearly no winners in this virtual war here is what the people at Microsoft have told Yahoo today. “We continue to believe that our proposed acquisition made sense for Microsoft, Yahoo! and the market as a whole. Our goal in pursuing a combination with Yahoo! 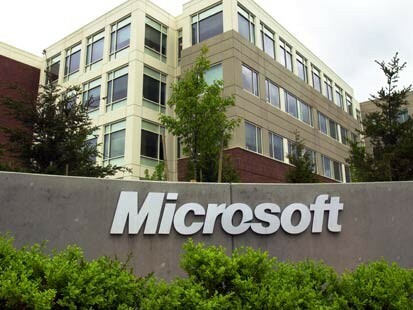 was to provide greater choice and innovation in the marketplace and create real value for our respective stockholders and employees,” said Steve Ballmer, chief executive officer of Microsoft. “Despite our best efforts, including raising our bid by roughly $5 billion, Yahoo! has not moved toward accepting our offer. After careful consideration, we believe the economics demanded by Yahoo! do not make sense for us, and it is in the best interests of Microsoft stockholders, employees and other stakeholders to withdraw our proposal,” said Ballmer. “We have a talented team in place and a compelling plan to grow our business through innovative new services and strategic transactions with other business partners. While Yahoo! would have accelerated our strategy, I am confident that we can continue to move forward toward our goals,” Ballmer said. “We are investing heavily in new tools and Web experiences, we have dramatically improved our search performance and advertiser satisfaction, and we will continue to build our scale through organic growth and partnerships,” said Kevin Johnson, Microsoft president for platforms and services. The simple truth is that Microsoft has definitely been hurt on its image and is walking out from this with serious dose of frustration. As to Yahoo they will surely take a serious hit by the stock market, their market capitalization will be big time hurt and they are probably going to become an easy pray to private equity players. There are all signs to believe that Microsoft will eventually return for Yahoo when time comes and the valuations are less. Rumors have it that Yahoo might eventually pursue a merger with AOL. Teaming up with Google is not an option. Aside having anti-trust implications it might also hurt their Panama advertising strategy on the long term run. In a period full with launch of new ad networks and deals about such Federated Media has raised a huge amount of money – $50 million in a C round led by Oak Investment Partners and Omidyar Network as a returning investor from their first round. The rumor has it the company has turned down a $100M buy out offer some time ago and apparently they have chosen to go through the investors’ road. The pre-money valuation for this road is rumored to be in the $200M range, which off $22M in revenues the company is brining in per year is not that overvalued at all. The company claims to be reaching a collective audience of over 50M people in US per month, which is an impressive number, yet those eye bolls are under the control of the web publishers and they may leave, together with their visitors, any time they do not like what are being paid for bringing them in. The company’s current investment comes on top of $7.5M previously taken. Federated Media claims profitability reached in September 2007. Oak Investment Partners is actually buying out a minority stake for their $50M and this is not really a typical funding deal as it turns out. With expertise in custom, integrated conversational marketing campaigns, FM has developed deep and long-term relationships with leading brand marketers and advertising agencies. Over the last three years, the company has expanded beyond its technology roots into verticals including parenting, business & marketing, media & entertainment, video gaming, graphics arts, automotive and more. FM’s full portfolio of digital media brands includes web favorites such as Boing Boing, Ars Technica, Ask A Ninja, Digg, Dooce, Confessions of a Pioneer Woman and NOTCOT, as well as social networking applications including Graffiti Wall (in Facebook, Hi5, MySpace and other social networks), Watercooler (in Facebook, Bebo and others) and many more. FM is expanding its portfolio and has just this year brought on diverse sites such as Silicon Alley Insider, Destructoid and Buzzine. FM also manages sponsorship programs for a roster of events such as the twice-annual Conversational Marketing Summit and Outside Lands Music & Arts Festival. FM generates revenue for its partner sites and event organizers through integrated sponsorships, advertising and other marketing services for global brands and their advertising agencies. Recent examples of premium brand-building programs include BMW’s 1-Series drawing contest, which invited Facebook members to custom paint BMW models using Graffiti’s digital illustrating tools, and the co-publishing and promotion partnership with American Express around their OPEN Forum blog for small business owners. “We’re proud to bring Oak on board as major investor,” said John Battelle, founder and CEO of Federated Media. “The Oak team understands the media business and has relationships within the media and Internet industries that will benefit FM with insights from Silicon Valley as well. Founded in 2005, FM represents more than 125 conversational media entrepreneurs who run more than 150 of the world’s most respected websites, blogs, and social networking applications. The company became profitable in the third quarter of 2007. Federated Media (FM) is an advertisement serving company that works with many of the top blogs on the web. It acts as a middle man that connects medium sized websites/companies with large and small advertisers. FM is essentially an ad aggregator for companies that are too small to have direct relationships with big advertisers yet big enough to demand higher rates than available on services such as Google’s Adsense. It can distribute ads to numerous blogs helping advertisers and ad publishers avoid an overwhelming amount of business relationships. FM does banner as well as text advertising on a CPM (cost per impression) basis. Pricing varies per blog property and can reach upwards of $30 per thousand impressions. John Battelle is an entrepreneur, journalist, professor, and author who has founded or co-founded businesses, magazines and websites. Formerly a professor at the Graduate School of Journalism at the University of California, Berkeley, Battelle, 42, is also a founder and Executive Producer of the Web 2.0 conferences and “band manager” with BoingBoing.net. Previously, Battelle was founder, Chairman, and CEO of Standard Media International (SMI), publisher of The Industry Standard and TheStandard.com. Prior to founding The Standard, Battelle was a co-founding editor of Wired magazine and Wired Ventures. Before Wired, Battelle worked at the Los Angeles Times and MacWeek, a unit of Ziff Davis. John is currently CEO and Chairman of Federated Media. In 2005-6, Battelle wrote The Search: How Google and Its Rivals Rewrote the Rules of Business and Transformed Our Culture (Penguin/Portfolio), an international bestseller published in 26 languages. He maintains Searchblog, a daily site covering the intersection of media, technology and the internet at www.battellemedia.com. Battelle was a founding Board member of the Online Publishers Association and sits on the board of the Interactive Advertising Bureau, as well as the Board of his children’s school. Battelle has been named a “Global Leader for Tomorrow” and “Young Global Leader” by the World Economic Forum in Davos, Switzerland. He was a finalist in the “Entrepreneur of the Year” competition by Ernst & Young and has recently been named an “Innovator,” one of ten best marketers in the business, by Advertising Age and one the the “Most Important People on The Web” by PCWorld. He holds a bachelor’s and a master’s degree from the University of California, Berkeley. Investors include Omidyar Network, New York Times, Mitchell Kapor, Andrew Anker, Mike Homer, Tim O’Reilly, JP Morgan and Oak Investment Partners, which has given the money for their last and biggest round to date. Oak Investment Partners is a multi-stage venture capital firm with a total of $8.4 billion in committed capital. The primary investment focus is on high growth opportunities in Internet/new media, communications, information technology, financial services information technology, healthcare services and consumer retail. Over a 28-year history, Oak has achieved a strong track record as a stage-independent investor funding more than 450 companies at key points in their lifecycle. Oak has been involved in the formation of companies, funded spinouts of operating divisions and technology assets, and provided growth equity to mid- and late-stage private businesses and to public companies through PIPE investments. The space is very crowded and among other competitors Technorati is one of the companies holding greater chance for turning its fairly popular online brand into an ad network for blogs. While AOL is trying to shop itself around they seem are not stopping the shopping spree themselves and keep on buying second tier web companies. After snatching Bebo last month, they have bought yesterday the related content engine Sphere, which is mainly used across blogs on Web. So it seems to be official already: AOL has acquired sphere.com. Despite financial terms of the deal were not disclosed the price was rumored to be in the $25M range that comes on top of Sphere’s $3.5M total funding to date. That is supposed to be a nice exit for Sphere’s existing investors. There are bunch of angels and a couple of institutional investors in Sphere’s two rounds of funding. The first one was in the $500K range and the participating private investors then were Radar Partners, True Ventures, Winton Partners, David Mahoney, Scott Kurnit, Vince Vannelli, William Randolph Hearst III, Kevin Compton and Doug Mackenzie while their institutional round was closed by Hearst Corporation and Trident Capital and was in the $3M range. Well, other sources claim the company has taken over $4M in funding so we are not really sure which number is the correct one. Sphere is basically providing contextually relevant content tools that make connections between text, video, photos and ads and according to the company is currently integrated into over 70,000 leading sites and is live on over 2 Billion monthly article pages across the web. If true that is pretty impressive number and should have been able to command a price way higher than the $25M rumored to have been paid for the company. We humbly thank everyone involved: our awesome team; advisors (Josh Macht; Toni Schneider; Matt Mullenweg; Mike Monteiro; Ron McCoy; Mary Hodder; and Scott Kurnit); investors, many of which wear halo’s (True Ventures; Trident Capital; Radar Partners; Hearst Interactive; Blacksmith; Phil Black; Will Hearst; David Mahoney; Mike Winton; Scott Kurnit; Vince Vannelli; Adaptive Path); our board (Venetia Kontogouris; Phil Black; Darcy Bentley; Scott Kurnit); publisher/ blog partners; the gang at Oddpost who showed us the way to build frugally/ intelligently; OM Malik, Mike Arrington, Kara Swisher, Dan Farber, Matt Marshall and the many other bloggers who’ve partnered, written, and given us advice; our attorney (Stefan Clulow); Howard Zeprun and Ira Parker who insured the dialog kept moving forward; Jen Consalvo who understood our potential and introduced to a number of AOL groups, Lewis Dvorkin and Bill Wilson who paid us the nicest compliment of all in offering to acquire our company and then doing so, family and friends. We’re thrilled to be part of this new genesis! Sphere was founded by Tony Conrad, Martin Remy, Steve Nieker and Toni Schneider in 2005 and is based in San Francisco. Sphere uses its contextual-search platform technology to make connections between content from blogs, video, media, photos and advertisements. These contextual results are then displayed in a pop-over window or an integrated widget that lets publishers enhance articles by incorporating related articles and blog posts from archived content and across the Web. Prior to the acquisition, AOL partnered with Sphere to offer its widget technology on AOL News and the myAOL service, Mgnet. Sphere’s third-party network includes more than 70,000 content publishers and blogs and is live on an average of more than 2 billion article pages across the web every month. Sphere will be integrated in Bill Wilson’s organization, the EVP of Programming at AOL. His division controls AOL’s content properties (Entertainment, Finance, Weblogs, etc.). Competition include Proximic, Lijit, Adaptiveblue, LinkedWords, somehow NosyJoe, Jiglu, among others. Other, although remote, players in this space include Attendi, Diigo, Twine and Freebase. AOL is a leading global advertising-supported Web company, with the most comprehensive display advertising network in the U.S., a substantial worldwide audience, and a suite of popular Web brands and products. The company’s strategy focuses on increasing the scale and sophistication of its advertising platform and growing the size and engagement of its global online audience through leading products and programming. 109 million – Average domestic monthly unique visitors to the AOL network of Web properties during the quarter ending December 31, 2007, according to comScore Media Metrix. 49.2 billion – Domestic page views for the AOL network of Web properties during the quarter ending December 31, 2007, according to comScore Media Metrix. 150 – Average monthly page views per unique visitor to the AOL network of Web properties, during the quarter ending December 31, 2007. AOL offers advertisers access to the broadest display advertising network in the U.S. and some of the most sophisticated tools available to target and measure online advertising campaigns through AOL’s Platform-A business group. Platform-A consists of Advertising.com, which operates the largest third-party display networks; behavioral targeting leader TACODA; Third Screen Media, which operates one of the largest mobile media networks; market leading video ad serving platform Lightningcast; Quigo, which offers advertisers the ability to target ads based on the content of Web pages; and ADTECH‘s global ad serving platform. In addition, Platform-A Marketing Solutions provides large brand customers with coordinated access to the full Platform-A product suite, enabling advertisers and agencies to more easily harness the full power of digital media. AOL’s network of Web properties is one of the top three in the United States, attracting an average of 109 million unique visitors each month during the quarter ending December 31, 2007, according to comScore Media Metrix, and many are leaders in their categories. MapQuest, for example, is the leading U.S. provider of online maps and directions; AIM is the No. 1 messaging service in the U.S.; and TMZ, developed in partnership with Warner Bros.’ Telepictures Productions, is the No. 1 domestic entertainment news site on the Web. Other popular destinations include Black Voices, a premiere site for the African-American community, and AOL Latino, a leading bilingual portal for U.S. Hispanics. In the past year, AOL has relaunched all its major programming channels, including News, Sports, Money & Finance, Living, and launched several new sites, including Switched.com, PopEater, Stylelist, DIYLife and Green Daily. AOL also has been upgrading its product suite, including the new AOL.com home page, improved AOL Mail, the new AOL Desktop, Safety and Security and Parental Control tools, and the new Winamp player. In addition, AOL has launched breakthrough products such as BlueString, which lets users easily store and share their pictures and movies, and myAOL, which lets users easily customize their homepage. AOL’s Truveo video search tool, the leading video search engine, continues to expand its reach. During 2007, Truveo’s index of searchable videos grew 20-fold to more than 100 million. Truveo tracks more than 500,000 new videos uploaded to the Web each day. Queries across the Truveo video search network increased 20 fold during 2007. Unique monthly visitors across the sites powered by Truveo exceeded 50 million. Truveo has also launched localized versions of its video search product in 16 countries. As part of its aggressive international growth plans, AOL launched portals in Austria, The Netherlands, India, Italy, Spain, Sweden, Switzerland, Poland and Belgium. In addition, AOL teamed up with HP – a leading PC maker in the U.S. – to include localized versions of the AOL.com portal and other AOL services as the default setting on HP computers shipped in the United States and more than two-dozen countries worldwide. AOL continues to operate one of the largest Internet subscription businesses in the United States, with 10 million domestic subscribers at the end of the third quarter of 2007. The rumor has it that Meebo fails to sell to date and is may be trying to raise new round of funding instead and not at the initial $250M pre-money valuation they were hoping for but at $175 – $200M. Some sources claim that companies like Fox/MySpace and AOL have taken a long look at the company, but ultimately passed based on the price. Perhaps it has something to do with the simple fact Meebo has only generated $1M in revenues since it launched. Meebo is now said to be looking for private equity funds and major internet companies to possibly raise their next round at the whopping pre-money they have set for themselves. The same rumor is now saying that the same potential buyers that have passed on a possible acquisition deal are probably going to participate in Meebo’s new round. The rumor is that Meebo has hired Montgomery & Co. to represent them in a new fundraising round that may value the company at a $250M. An interesting competition is forming on the scene there between Montgomery & Co. and Allen & Co., which is lately the investment bank behind pretty much all hot start ups that sold (got funded) or about to for hefty amounts (hefty valuations) in the valley such as Digg, Bebo, Slide, Technorati, among others. What is also being said is that the company is looking to raise $25-30M in venture funding and if the valuation numbers are taken for real it means the VCs will take no more than 10% from Meebo. This is a whole lot more than the $60-70M that it was reportedly worth after a funding round last year. Meebo launched in September 2005 and received funding from Sequoia Capital in December 2005 and Draper Fisher Jurvetson in January 2007. Today, Meebo’s users exchange over 100 million instant messages daily.In early 2007, Meebo gets another $9 million from Draper Fisher Jurvetson and Sequoia Capital. Skype’s lead investor and YouTube’s lead investor are teaming up. Tim Draper, one of the early investors in Skype, did the deal for DFJ. Meebo’s total funding is now $12.5 million. More about Montgomery & Co.
Montgomery and Co. was founded in 1986 with a vision of providing strategic capital-formation advisory services to leading aerospace, defense and related technology companies. Montgomery & Co. took advantage of the technology downturn and consolidation in the banking industry in 2000 to establish its reputation as the “go to” bank for growth companies that wished to evaluate their strategic options and raise capital. In doing so, Montgomery & Co. fulfilled its initial vision of providing a range of advisory services that encompassed M&A, private placements, comprehensive business-development analyses, and other value-added services. In 2002 the firm was strengthened by investments from the world’s biggest bank, Mitsubishi UFJ, and West River Capital, of Seattle, WA. In 2003 the firm opened offices in Seattle, San Francisco and San Diego. At that time, the firm also significantly expanded its banking expertise within the healthcare and media industries, especially in the M&A practice. In 2005, the firm was further strengthened by an investment from Tudor Investments which is the venture capital and private equity arm of Tudor Investment Corporation, an internationally recognized diversified investment management firm with $11.7 billion in assets. We think a deal is on the go and might not be a funding one, but the price would definitely be much lower than the $200/250M they were hoping for. An interesting approach is taken at MeeVee. They are trying to sell themselves through a press release. This morning we have seen a short press announcement put up on Yahoo through BusinessWire giving relatively short details about the company and soliciting interested parties to contact a person at his email as indicated in the pr. So, what’s so interesting in here one may ask. First off in the press release the company claims is engaged in multiple discussions with potential acquirers that provide the greatest long term upside and synergy, but are giving a public announcement where they solicit more such interested parties to discuss with them. It is either nobody is interested in the company to date and they are trying to attract such interest or the interested parties are setting their offers too low and MeeVee is trying to establish sort of bidding war in order to drive valuations up. You don’t normally ask for interested parties to contact a company re a sale unless the current talks (if any) aren’t going well. So far so good, but when you go into some more details about the company you realize there is something wrong with the whole situation around MeeVee. The company is known to have taken $25M in total funding to date and having just 1.1M ungues per month off $25M in venture capital appears no longer that attractive as in it was in first reading. That sort of information is skipped in their original press release. Their last round of funding (Series D) was taken just late last year and was in the $3.5M range, which means they have spent most, if not all, of the money they have previously taken. As to what is only left in the company from their last round remains unclear. To top it off the company has gone through some significant layoffs. Some of MeeVee’s unhappy investors include DEFTA Partners, Edmond de Rothschild Venture Capital, WaldenVC, Labrador Ventures, The Bay Area Equity Fund (Effective January 24, 2008 the private equity investment professionals of the Bay Area Equity Fund have left JPMorgan to form DBL Investors LLC) and FCPR Israel Discovery Fund. Over the past years we have been witnessing not only one deal where a web site with over 1M unique visitor per month has commanded acquisition prices in the $20M range, but in the MeeVee’s case we do not think that is the case. Why? Well, MeeVeee has spent $25M so far, has laid off its employees and is on its way down. If you have spent $25M the expectations for your company are for much larger reach and audience than just 1.1M visitors per month, so in the case their 1M users per month can be considered quite a failure in the context of the resources being allocated to the company. The picture is already quite different if you take for an example a web site that has reached the 1M uniques per month mark off say less than $1M of money invested in so far, did not lay off its employees and is not on its way down as a trend on the traffic graphs of sites like Quantcast and Compete. Whatever the case is it is hard for us to believe that 1.1M uniques per month can command a price anything above the amount of money they have taken from an army of venture capitalists. So what is then the case here? It is perhaps that the VCs are looking for a way to effectively liquidate the company and recoup whatever is possible leaving the founders with literally empty hands. Discovering what’s online and on TV. MeeVee is the leader in helping people navigate the growing world of online and television entertainment. Each month, over a million tech savvy, affluent and educated online users visit MeeVee to help make their entertainment choices. These people are passionate about entertainment, and visit MeeVee again and again to track their favorites and to discover and share new entertainment choices. Why? Today’s consumers are overwhelmed by the millions of online videos and hundreds of digital TV channels now available. MeeVee is the first destination to bring together traditional TV listings and online video from hundreds of sources in one place. Using our patented technology, consumers can personalize MeeVee to search for new TV and online video based on their interests. At MeeVee, our mission is to help them discover more of what they want to see. Located in Burlingame, CA, MeeVee initially launched in 2005 as a television listings provider. Using innovative new technologies, MeeVee changed the way consumers find TV programming by enabling them to personalize their guides to surface new programming choices based on people, shows, hobbies and keywords of interest. Now MeeVee is applying that same technology to the growing world of online video, helping individuals to cut through the clutter and discover interesting videos. Today, MeeVee employs more than thirty enthusiasts who are passionate about our mission of helping consumers discover and enjoy the media they want to see. Supported by leading advertisers, including CBS, Netflix, Radio Shack and more, MeeVee also syndicates and licenses our television search and personalization services to leading newspapers, major online content providers and cable operators around the country. Our partners include some of the largest integrated media companies, including Gannett, Hearst and Media News Group. Our list of syndication partners is growing daily and includes USA Today, The Chicago Sun Times, San Francisco Chronicle and the Seattle Times. Our investors, who have supported some of Silicon Valley’s most successful ventures, include JP Morgan, Labrador Ventures, Walden Venture Capital, Defta Partners, and Rothschild Ventures. TechCrunch has called MeeVee, “an easy-to-use application and…a nice model for building a personalized web experience.” MeeVee is a 2007 “Always On” Media 100 winner. Well, in some of the latest posts about MeeVee on Techcrunch are surely not as positive as the sentence above and MeeVee is as of today put in the dead pool watch list. Imeem confirms the acquisition of Snocap for reportedly less than $5M off more than $10M in venture capital taken by the company! An acquisition that was announced in late February has today been confirmed. Imeem confirms the acquisition of Snocap. As we have then written Snocap has been in a long quest for a buyer (at least since Sept last year) and has gone through some massive layoffs, so it was clear the company had little to no options left but to sell off. Rumors have it that no other competitive buyers have ever shown up on the horizon and Imeem was the most logical buyer for Snocap. Just like in February official terms were not disclosed, but some insiders have speculated the price tag has been less than $5M. What we do not understand is how a company with over $10M in venture capital money and quite solid technology has ended up selling itself under fire. Imeem is known to have been licensing the company’s digital fingerprinting technology to track how many times any particular song is streamed on its site so that it can allocate a portion of its advertising dollars to the major music labels. Other rumors have it the total investment in Snocap is way over $10M with CSV II that is known to have made its first investment, leading a $15 million Series C round in Snocap, which happened in early 2006. Other technology bloggers have meanwhile speculated it has been a payday for Fanning (also the founder of Napster), but it is hard for us to believe in this knowing it’s pretty rare to see VC terms these days without some liquidation preferences that protect them against fire sales like this. Imeem is being said it depends on Snocap’s digital fingerprinting technology for its entire business model, which has surely forced Imeem to buy the company. The Snocap technology matches the music to its database of 7 million songs, which then allows Imeem to allocate a portion of its advertising revenues to the music companies who own the copyrights to the songs. After all being said for the two companies it still remains quite unclear for us why Snocap needed to sell. Pressured from investors or what? The lesson learned here for Imeem is that startups should not rely on other startups for the key technology that their business is built upon. Snocap was founded in 2002 by Napster creator Shawn Fanning and Jordan Mendelson. Ron Conway is perhaps their angel investor. The company is known to have taken $10M million from Conway, Morgenthaler Ventures and WaldenVC. Just like Imeem’s deal with Universal Snocap has also signed a distribution deal with MySpace. In fact Imeem and Snocap have also partnered in the past where Imeem used Snocap’s digital fingerprinting technology to track how many times any particular song is streamed on its site so that it can allocate a portion of its advertising dollars to the major music labels. 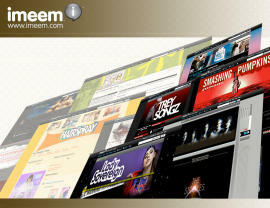 -Enjoy the latest videos, music, photos, or blogs posted on imeem. -Stay up-to-date with your personal network of fans and friends with “What’s New” notifications. -Get in-depth stats for all your content and track their popularity. -Tag, comment, rate, and share any of your friends’ cool (or embarrassing) content. -Create or join groups for your favorite band, event, topic, and more! -Start discussions with other imeem users and make new friends. -Embed your media on other pages (such as your blog, Bebo, etc.). -Recommend stuff to your friends or add it to your “Favorites” list. -Easily add media to your Del.icio.us, WordPress, Blogger, or Typepad. Imeem is hoping to make money from advertisers, a portion of which will be shared with its music partners. It has signed up Puma, Nike and Microsoft among others, though it does not disclose revenues. This is Imeem’s second acquisition after they acquired Anywhere.FM in January. Imeem has raised two rounds of capital, although the size of the second round was not disclosed. Imeem is based in San Francisco and takes its name from “meme” – a term coined to describe the ideas that communities, adopt, and express. Dalton Caldwell is the CEO of the company and the co-founded together with Jan Jannink. The company used to be in Palo Alto and is known to have launched in 2004. Known investors in the company are Morgenthaler (Series A founding) and Sequoia Capital, the venture capital fund that supported Google and YouTube. It is interesting to know what Imeem’s total funding is considering the fact Snocap has raised $10M. Imeem’s first round was only for $750K. Imeem does not disclose revenues. Some competitors and similar companies include Skreemr, Seeqpod, Deezer, Pandora, Lala, MOG, we7 and Wixi. This is certainly the case with Bill Gates’s privately held company Corbis Corporation. The company’s PR guys out there have certainly taken them far too serious and have last week threatened a tiny Norwegian micro stock photography agency called Crestock with legal action over an apparent April Fools joke made by the company in a recent press release. Bill Gates’ Corbis Corporation is one the worlds largest stock photography sites and being acquired by a small player in the sector was kind of distasteful for them to see and they have reacted almost immediately by threatening the tiny company with legal actions. We think Corbis has gone too far and the “megalomanic” press release, as the Norway company describes it, is more suitable as label for the Corbis’s behavior. On the other side there is something that bothers in the press release on first reading – its seriousness and a few high-profile investors and institutions claimed to have been involved into the acquisition. Compared to Corbis with its $250M revenues per year Crestock appears quite a start up like company and perhaps no one would have taken their announcement for real if it was not the claim there are some large-scale and high-profile organizations and investors being involved in to the foolish press release such as “Scandinavian group of investors”, the Norwegian government fund organization: Innovation Norway and the European Union’s Media II Programme, whose purpose is to encourage the development and distribution of European audiovisual works. We think this is what made the press release read and look beyond the common April Fools jokes and have Corbis’s lawyers and PR guys pissed off. Over the past several years corporate April fools jokes became a trend among rivals. Around April 1 every year there are thousands of April fools press releases and announcements about potential deals, acquisitions and beyond, but perhaps none is ending up in the court, if any. “We in no way intended to mislead or otherwise conduct ourselves in an illegal or inappropriate manner,” Crestock CEO, Geir Are Jensen stated in a statement early today. Crestock`s aim is to play a leading role in the micropayment stock photo business. The photography trade is undergoing a revolution as digital cameras and internet distribution lower the prices to a minimum. There are a few succesful companies in this particular sector of the photo business. Our goal is to be among the most sucessful – as soon as possible. And then move further. Corbis is a creative resource for advertising, marketing and media professionals worldwide, helping to bring creative work to life with the highest quality photography, footage and rights services. Corbis offers a preeminent collection of more than 100 million creative, entertainment and historic images, a comprehensive footage library, the world’s deepest rights and clearances expertise and an award-winning media management solution, as well as empowering SnapVillage, an innovative microstock web site. Based in Seattle, Corbis serves more than 50 countries worldwide. Corbis is privately held by its Chairman Bill Gates, who founded the company in 1989.